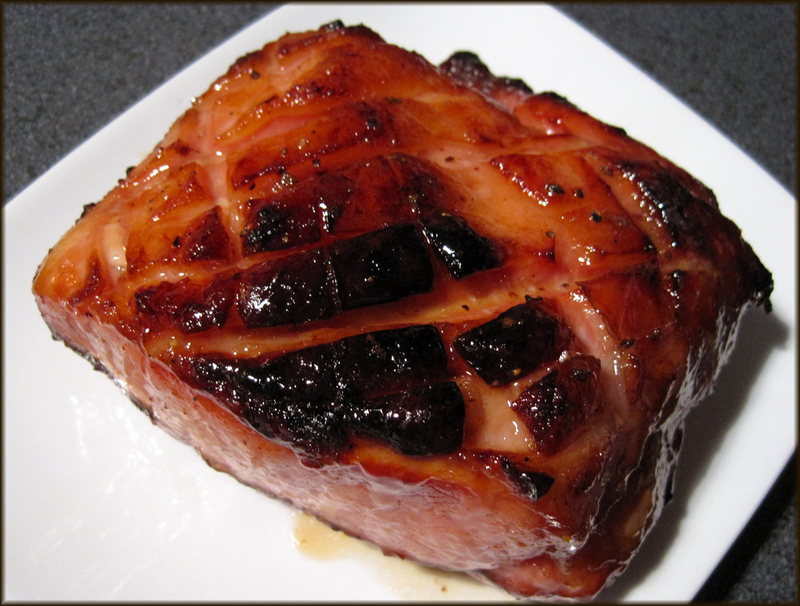 The perfect glaze for pork loin or gammon especially at Christmas. It's so very easy to do, yet if you were to buy it like this already done in a supermarket they'd charge a fortune for it. I used a nice piece of cured pork loin. Cut a criss cross pattern just through the fat. The mixture of brown sugar, runny honey and Madeira adds a lovely sticky glaze. Before you begin, please note we're talking about 'cured' pork. Result? 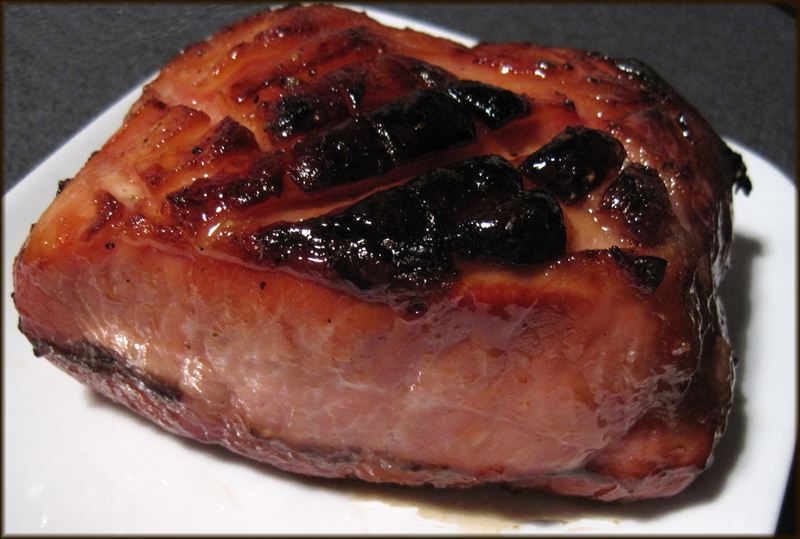 Well, as you can see, perfectly cooked pork loin with a delicious glaze. Before you begin, please note we're talking about 'cured' pork here. Get yourself a nice piece of cured pork loin and cut a criss cross pattern just through the fat. There's no actual recipe for this, just lay the cured pork loin on some kitchen foil and put it into a small baking dish. This saves messing up the baking dish too much as the sugar mixture will make it hard to clean. Mix together about 2 tablespoons of soft brown sugar, a good squeeze of runny honey and a glug or two of Madeira wine. Spoon this mixture over the scored pork and leave it for half an hour or so. Roast in the pork wrapped loosely in the kitchen foil in the baking tray, basting regularly. *My pork loin was 500g and took 1 hour and 15 minutes to cook. Open up the foil for the last 15 minutes or 20 minutes of cooking, again basting with the glaze mixture. As a rough guide cured pork will need 30 minutes per 500g plus an extra 30 minutes - that's with foil covering it for most of the cooking time. I am definitely going to try this out, it looks delicious! Hi Jan, What oven temp did you use?